What to get for the man who has everything? If you’re buying for Nick Saban right now, try to find one of those fancy laser pens Tommy Lee Jones and Will Smith hold up in “Men In Black” that, when flashing, erases the memory of the person looking at them. 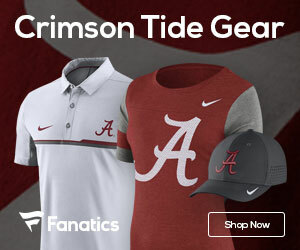 TideFansStore.com – Get Bama Gear! As an Amazon Associate, TideFans may earn a referral fee from qualifying purchases. Also, TideFans may earn a fee from TideFansStore.com or Fanatics.com purchases. © 1999-2019 ALL Content Copyright BamaNation Partners, LLC.